It was date night for the Pretty Lady Veterinarian and me, and BOA Steakhouse was close enough. We dropped the car with the valet, and found seating in the lounge area. We ordered a couple of the BOA Burgers ($17) and settled in for about a 20-minute wait. 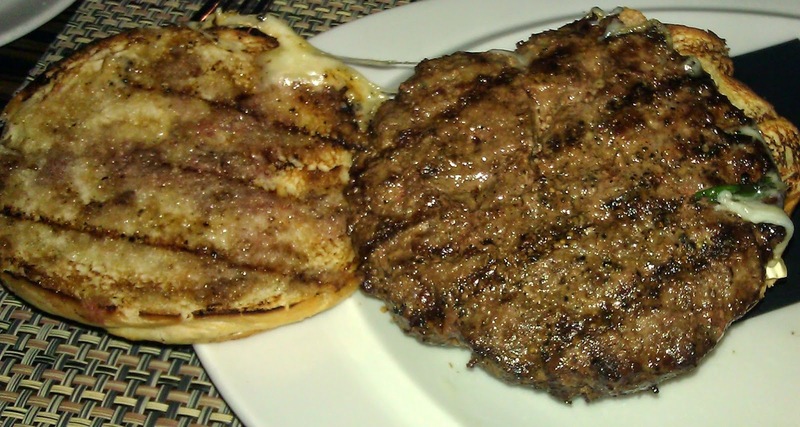 The Beef: BOA Steakhouse delivered a burger patty that was about 50% NY Strip and 50% Chuck. The fat content was pushing 25%, but this was appropriate, and it did not create a greasy bite. The NY Strip provided complexity and some dry-aged funk, while the Chuck contributed a solid beefiness and just the right amount of resistance. The salt and pepper treatment brought out the the best in both the Chuck and the Strip. The bite went like this: Salt...Beef...Fat...Funk...Sweet (bun)...Creamy (bun)...Steak...Pepper. The source of the beef was Premiere Meats, and they always do a great job. The beef was rock solid. The Seasoning: Salt and pepper were applied, although just a little too sparingly. The Sear: Meh. This was sad. I had expected a steakhouse with BOA's reputation to be able to apply a proper sear to a burger patty. I specifically requested a nice sear, but I received a burger with some light grill marks....so it goes. The Preparation: The beef arrived pre-ground from the purveyor. The grind was Med-Fine. 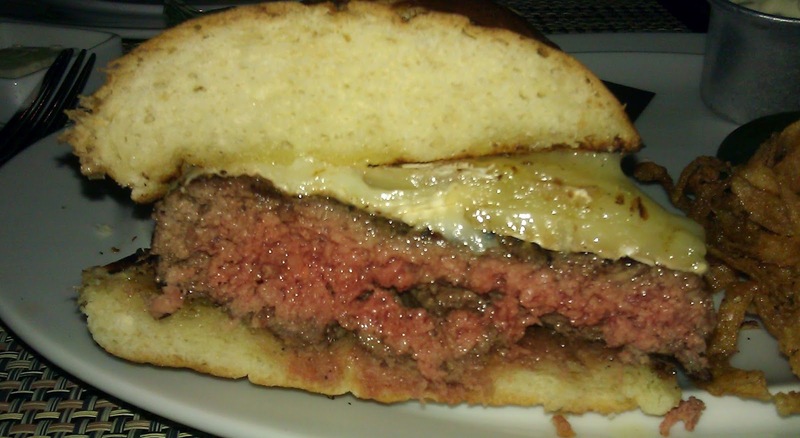 The burger was cooked to a competent and juicy Med-Rare on a moderately hot gas-fired grill. The 7-ounce patties at BOA Steakhouse were formed with a gentle pressure, and this lent to the tender nature of the mouth feel. Overall, the preparation at Boa was timid--it should have been bold. The Cheese: Camembert....sigh. This mild cheese was largely absent on the palate. There was a bit of creamy texture and a little bitterness from the errant rind that found its way onto my burger. Camembert was just a weak choice...particularly for a steakhouse. I hearty Cheddar or a thick slice of American cheese would have done the trick here. The Bun: The BOA Burger arrived on a highly competent brioche bun from La Brea Bakery. The brioche was light, sweet, resilient, buttery. I was, however, grilled rather than properly toasted, so the bun provided no crunch. The Toppings: The tomato slice was perfect. The Butter Lettuce was crisp. The fried onion strips were bland. The Fries: The standard-cut fries were just right: crisp, well-seasoned, hot, and creamy in the center. The Value: $17 for a cheeseburger is a lot. While the beef, bun, and toppings were of high quality, the timid preparation didn't justify the price point. The burger at BOA Steakhouse was good...really quite good....but it wasn't damn good. The mild cheese, lack of sear, mild seasoning, and grilled bun dragged the ingredients from great to good. 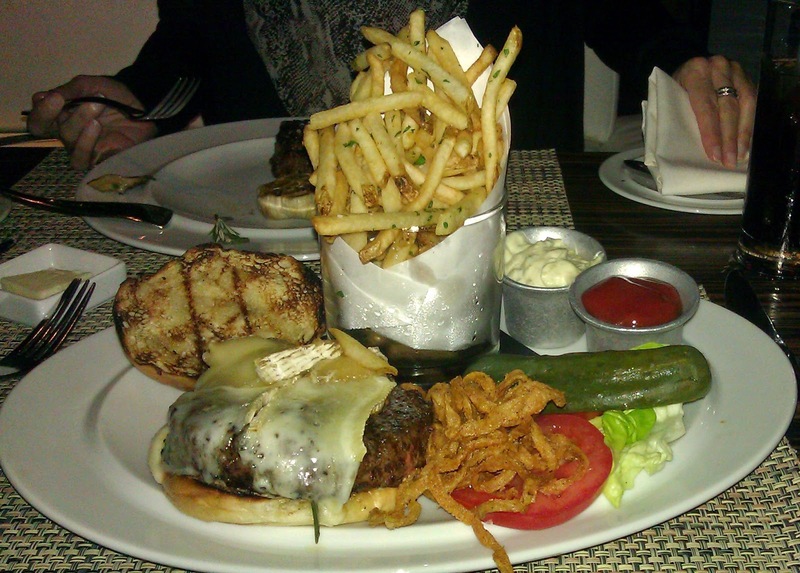 Burger Review : A good but not great cheeseburger at BOA Steakhouse in Santa Monica, CA. Sear is very important. Too bad they didn't follow your request. Can you recall a place(s) that had a great sear? If so please mention one. What is your lady friend eating with a fork? Steak and Shake in Las Vegas (going there tomorrow). The Six on Pico in Los Angles. Wolfgang's Steakhouse on Canon in Beverly Hills. The Brindle Room in NYC. I forget what PLV's app was, but she was happy with it. 8 burgers in 5 days starting tomorrow.